How nice, a new instruction! Northfield warmly welcomes bright young architects. This one’s for a downstairs remodel – the kitchen is rather cramped at the mo – and a garden office. I have been thinking about garden buildings for a while, maybe this one could become a bestseller. To work! I’m an architect. That means that my professional life is governed by the architects registration board (who are against apostrophes, probably for aesthetic reasons). One of the consequences is that any agreement I make with a potential client has to meet certain standards as set out in the architects code (see what I mean?). So that, if my client decides to sue me, the terms of our agreement are clear. You can use a special form of agreement, like the RIBA Concise form of Agreement, which is pretty thorough, but I’m not sure that any of my clients would want me to include a 36 page legal document in their fee. Traditionally, a lot of architect appointments have been by letter and case law has led to a need for standard forms. On a large project I can understand this and having worked in commercial practice I feel confident in saying that some architects could really tighten up in this area. For a minnow like me, the letter is definitely the way to go. I like to spell out in the letter what I think I am being asked to do, the work I am pricing for (survey, drawings, that kind of thing) and what my fees will be. Then, for the small print I like to put in something like this. If you are an architect, or a lawyer, let me know what you think. If you would like me to go ahead with this work, this letter will become a contract of appointment for the work stated on this letter and for the fee shown above, between the parties at the top of the letter. If either party wants to change this agreement, for example add to or change the services, this will need to be agreed in writing. I have professional indemnity insurance cover up to £250,000, which I really hope I won’t need. I am registered with the Architects Registration Board and I am subject to the architects code. My job is to help you but if you feel that I am not doing that, please write to me about it. If we really can’t agree then either party can go to arbitration or you can tell the ARB about your concerns directly. here I am. I’m on the ARB too, here. Not sure what this is? The title “architect” is protected, so only people who have the degree, the postgraduate diploma and the professional practice diploma and the required professional experience under the guidance of an architect and agree to comply with the professional code can use the title. Hmm. Medical school might be cheaper, kids. The ARB – Architects Registration Board – keeps the register of architects. Since 1997, if you are not on this list, you’re not an architect. The ARB also gives accreditation to training courses and qualifications, keeps the architect’s code up to date and investigates complaints at the professional conduct committee. So what’s this other thing? The RIBA – the Royal Institute of British Architects – has been around since 1837 when it got the royal charter from those nice people at the Privy Council. Since the ARB now does what the RIBA used to do, the RIBA now concentrates on other stuff that the ARB doesn’t, as well as “helping” the ARB do it’s job with regard to qualifications and title. So, for example, when I was registered with the ARB, I was an architect. Now I’m registered with both I’m a chartered architect. Super. The RIBA also has a nice building in west London town with a gallery, cafe and big bookshop, it gives out prizes (like the Sterling Prize), it has a two year presidency, it has strategic priorities and it tries to influence policy and advance the profession. That’s great. No minimum fees though, these went in 1997, with the passing of the Architects Act, which also created the ARB. And no special minimum wage for the skinny kids or tired dads behind the computers either (which could be a requirement of the chartered practice status, just saying). Oh and it is nearly all boys for some reason, even though the women I have worked with have been generally excellent: Heike, Svetlana, Borghildur – they generally don’t come through the UK route for some reason. But RIBA does organise conferences and they approve industry led training seminars. So there you have it. For me, I get the letters which people in the industry recognise, I get to use the logo on my card and sign board. Who knows maybe one day they give me a prize. For a lot of architects though, the RIBA is an annual fee and a quarterly magazine. Feeling shy? Have a question? Come and meet me to talk about anything. It’s free and you can get a coffee (although you will be expected to pay for that upfront) because it’s at my favourite local cafe, right here in Kings Heath. If you can’t wait until then, ask your question below. If you want to ask something private, click on my get in touch page and send me an email. Author kingsheatharchitectPosted on October 23, 2012 October 23, 2012 Format AsideCategories UncategorizedLeave a comment on My new signboard! 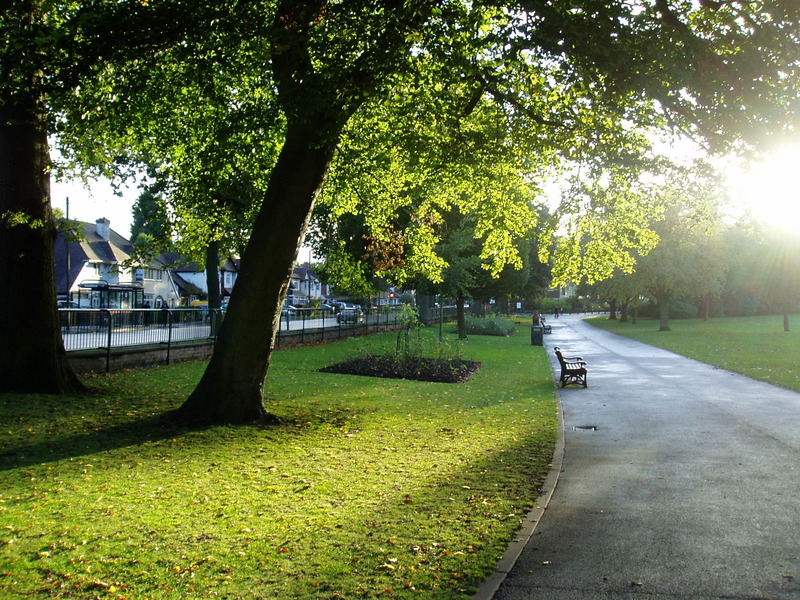 Kings Heath Park – another reason to love Kings Heath.